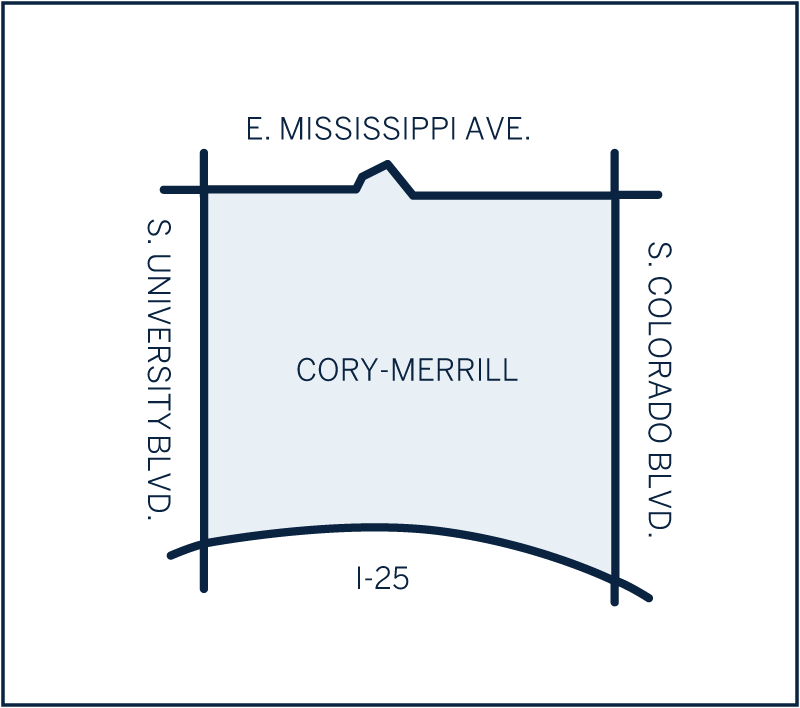 Ranked one of the best places in Denver to raise a family, Cory-Merrill is named after the elementary and middle schools which extend all the way South to Mexico Avenue. It is ideally located near desirable communities Bonnie Brae and Belcaro, offering access to local shops and restaurants, while retaining its own unique charms. Wide streets, mature treed lots, and a strong neighborhood association are a big draw. Architecture ranges from a mix of 1940s and 1950s Bungalows, to brick shoe-box houses, as well as large new builds and remodels. With great schools and an easy drive into downtown Denver and Cherry Creek North, young families and professionals move here to embrace Cory-Merrill’s easygoing, close-knit lifestyle.